So there lies the basic problem that many of us as real estate agents are having! 1) Even the banks are afraid of appraisers destroying a sale for variety of reasons. The banks would rather take the cash and not risk an appraisal by another banks appraiser. Really? Have appraisers got that much power. The answer is yes! I've personally seen an appraiser put a stop to a sale of a home because of gutter was not cleaned out. 2) The problem is so bad banks are willing to give up thousands of dollars (making back some of their loss) because of the risk of an appraiser finding a problem with the home and destroying a sale. There's no real fast solution to this. Appraisers have run amok! They become their own judge and jury and they've decided that they alone can interpret what constitutes a viable mortgage investment. What's worse is this sets up an even bigger problem that has yet to be talked about. Because of the appraisal problem and a banks fear of it, mortgage companies with foreclosed properties are more willing to take cash offers from investors than offers a hard-working family with a mortgages attached to it. What has happened to the American dream? It now seems that people with money will continue to make more money by purchasing and flipping homes and the people who deserve or need those homes are left out the cold. 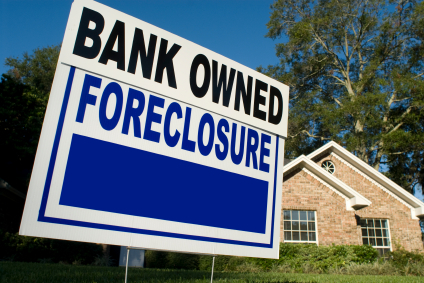 Some of the banks that own the foreclosures will tell you they first open up the bidding process for a foreclosure to owner occupants. But even then those people will have to secure mortgages and go through an appraisal process. Yeah you might say how about an FHA 203K loan, right ? Have you tried an FHA 203K loan lately? The loans are supposed to help hard-working Americans purchase properties in need of repair. But we're hearing horror stories from people who have tried the FHA 203K loan program. Contractors have walked out on projects and the buyer is left holding the bag. On top of that the cost to renovate some of these foreclosures with an FHA 203K loan ends up costing more than buying a home that was not in foreclosure. The appraisers will tell you they're afraid of losing their job and they're just following government orders. Really? That once again the complete overhaul of the appraisal process is needed, this time by someone or a group of people who understand the problems and have a solution. The future is clear, until someone takes the appraisers to task, changes the rules and regulations will continue to have this problem. I don't know what will happen with our clients who are moving into the area hopefully they'll find another property I just hope it's not a foreclosure!